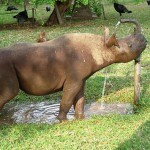 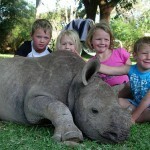 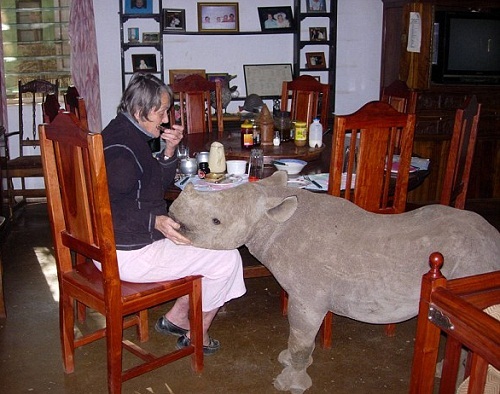 Family’s pet Jimmy the rhino. 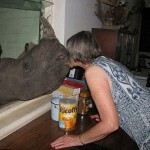 Jimmy is an orphaned rhino, whose mother was cruelly shot by poachers in Zimbabwe, South Africa in 2007. 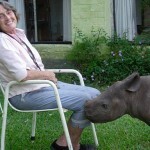 Photographer David Hulme found him yards from his mother’s body, hiding beneath a bush. 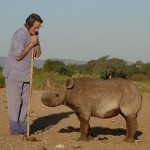 He had been left to fend for himself for several days. 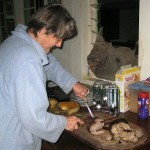 David took Jimmy to close family friend Anne Whittall, who took a baby into her home. 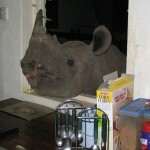 Five years later, Jimmy is free to come and go as he pleases by popping his head through the open kitchen window. 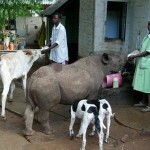 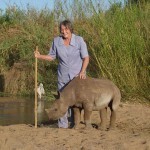 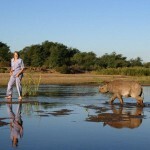 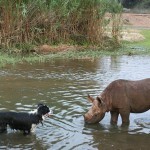 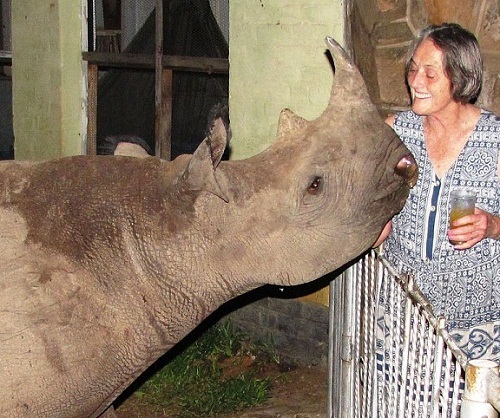 He has a few friends – pet dogs, two orphan cows, some warthogs and an orphan buffalo.